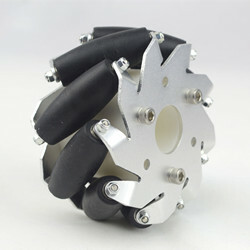 View cart “3WD 100mm Omni Wheel Arduino Kit 10016” has been added to your cart. 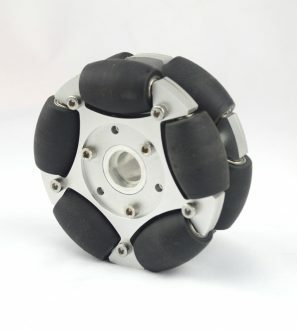 The wheels is a heavy duty wheel itself, they are sold in assembled units with aluminum two thick steel plates. 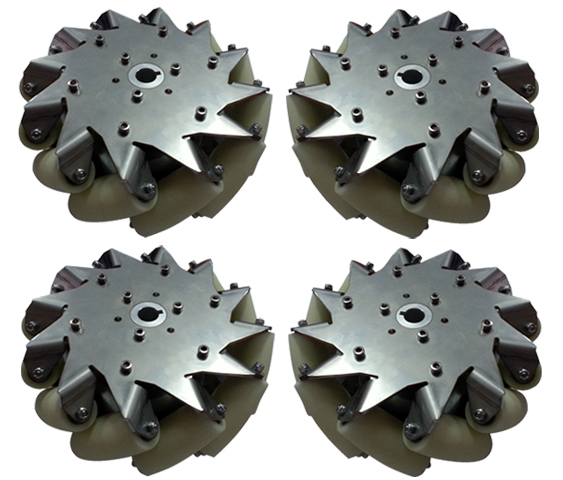 It comes with 4 wheels,2 left and 2 right. 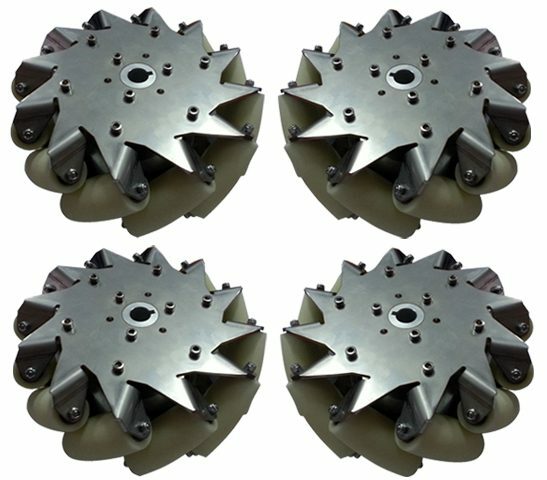 The set of (8 inch) 203mm stainless steel mecanum wheel is a heavy duty wheel, it includes 2 right wheels and 2 left wheels. 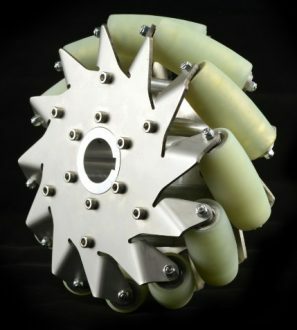 Each wheel is comprised of 12 nylon rollers, mounted so that their axis of rotation is 45 degree to the axis of the main wheel. 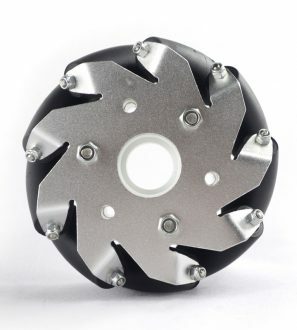 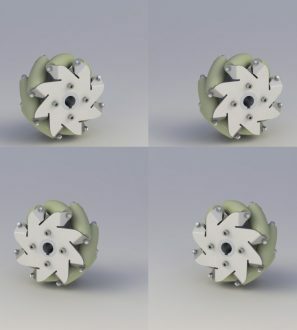 As well as moving forward and backward like conventional wheels, stainless steel mecanum wheel allows sideways movement by spinning wheels on the front and rear axles in opposite directions. 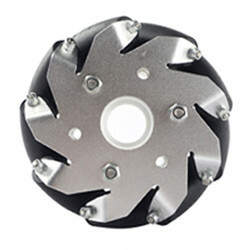 The wheels is a heavy duty wheel itself, they are sold in assembled units with aluminum two thick steel plates. 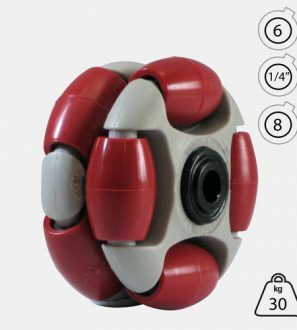 The rollers are made of white nylon, the stainless steel body mecanum wheels of load capacity is higher than aluminum mecanum wheel.